Uber is indeed one of the safest cab providers. But some incident shocks us every once in a while, although it wasn’t a case where cab driver did anything. But, a journalist from Mumbai will never retake Uber in her life, thanks to the worst experience that she had. According to her, she was Uber Pooling, with an unknown co-passenger. While on the way she was assaulted, who started fighting with the cab driver for charging her more and dropping her last. When Ushnota tried to sort out, the woman started verbally abusing her. 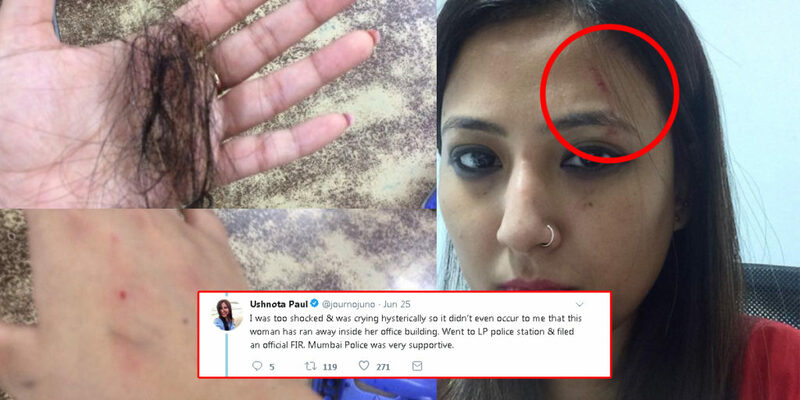 Before that women left the cab, she assaulted her physically by pulling Ushnota’s hair, scratched her face and treated her in a horrible way. After all this, Paul filed a complaint with the police. Complaint. Uber didn’t disclose the identity of that woman owing to the “Privacy” factor. It is a shame that there are some people, who behave like such an animal. Racism is never right, and nobody should suffer such things. However, some scums in our country need to be caught and put behind bars. We hope that the women who assaulted her get charged with assault and racism and get punished. We are very sorry that she has to go through all this, one should never get treated like that. We hope that she gets better soon. And for the lady who assaulted her, we wish you get what you deserve soon enough.